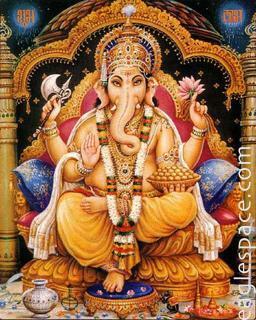 The festival of Ganesha Chaturthi is celebrated as the “birthday” of Lord Ganesha in many parts of India. Ganesha Chaturthi is perhaps the most actively celebrated festival in the state of Maharashtra. The festival last for ten days – beginning on the fourth day after the new moon in the month of Ashwin. Traditional celebrations include the decoration of statues of Ganesha in every household. The festival is unique in the sense that it involves a lot of community-centric events where people gather together and sing praises of Ganesha with great pomp and gaiety. Preparations for the festival begin months in advance with the construction of huge sculpted idols of Ganesha from clay (traditional) and plaster of paris (modern). The idols are used as center-pieces of the festival during the different community sponsored events over the ten days of the festival. On the eleventh day, the idols are taken in a huge procession to the nearest body of water (river, lake etc. )and immersed with the chanting of mantras. This symbolic immersion perhaps signifies the devotees submerging their egos (as represented by the idol) in the vast expanse of brahman (as represented by the body of water). We would love to hear about your plans for Ganesha Chaturthi celebrations. Please leave a comment below.